Many thanks to the National Portrait Gallery, London, for permitting us to download three of the images here. The other, of the statue of Lord Salisbury at the Foreign Office, may be used without prior permission for any scholarly or educational purpose as long as you (1) credit the photographer and (2) link your document to this URL or cite the Victorian Web in a print document. Click on all the images to enlarge them — Jacqueline Banerjee. ndrew Roberts spotted a large and congenial gap in the market of biographies of Victoria's Prime Ministers and filled it with this 852-page book in 1999. 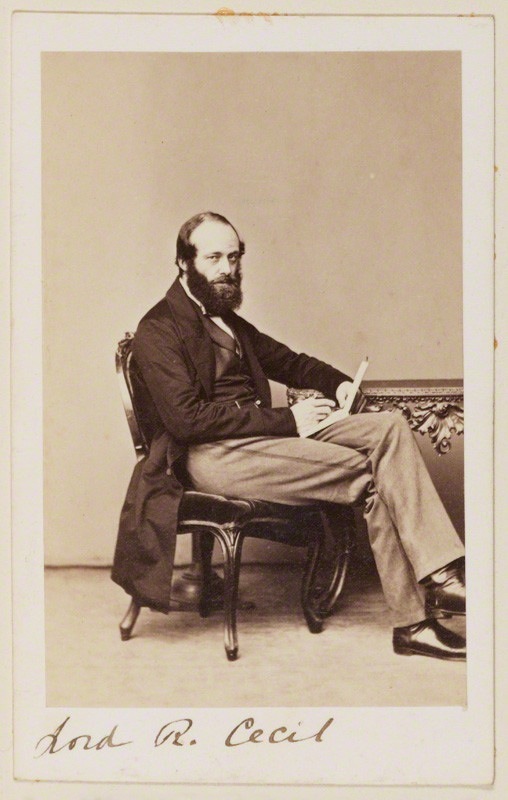 The third Marquess of Salisbury, born Robert Gascoyne-Cecil (1830-1903), won three more than comfortable majorities as leader of the Conservative Party in 1886, 1895 and 1900. He was Prime Minister for more than thirteen and a half years, making him the longest serving of Victoria's Prime Ministers and beaten only in previous reigns by Walpole, Pitt the Younger and Liverpool. He was a Minister for 21 years after becoming Secretary of State for India in 1866, and for most of his time as Prime Minister he was his own Foreign Secretary. In 1902 the then Bishop of Ripon told Salisbury that the Queen had said to him at Osborne shortly before her death that she considered him as having "an equal place with the highest among her ministers, not excepting Disraeli" (qtd. p.795). Earlier in life he was a prolific, trenchant and witty journalist covering a wide range of subjects. He was a distinguished amateur scientist and a devoted High Anglican from his undergraduate days onwards. Yet very few people well-educated enough to be familiar with Gladstone and Disraeli will even be aware of Salisbury let alone that he was Prime Minister for longer than either of them and an equally dominating figure. "Titan" is not an overblown claim. Salisbury was also a genuine High Tory with right wing political principles which included maintaining the privileges of his own aristocratic class, avoiding initiatives in government lest they had unintended consequences (he thought it almost inevitable that they would), resisting the spread of democracy with all the means at his disposal, building the Empire and choosing repression over appeasement in Ireland. Roberts found a subject whose views chimed with his own – the book is dedicated to Margaret Thatcher, thrice elected illiberal Tory. Such a close sympathy between a biographer and a subject is risky. In this case it has done no harm. Salisbury's limitations and mistakes are treated fairly alongside his achievements. The book had been waiting to be written for a long time. We might still have been waiting for such a penetrating and illuminating treatment of a great Prime Minister if Roberts had not been attracted by Salisbury's politics. Where the reader might want to be more critical of Salisbury, Roberts provides the material to allow an alternative judgment to be reached. It would not be unreasonable to classify Salisbury as Roberts' finest achievement so far; it is unlikely that he will write a better book. 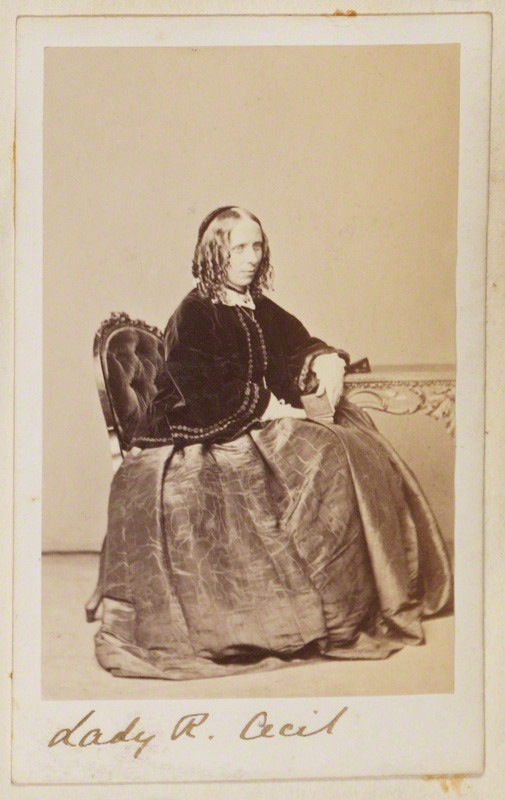 Albumen cartes-de-visite of about 1862 for Salisbury and his wife, by unknown photographers ©National Portrait Gallery, London (NPG Ax9655 and Ax9657). As it must have been hard to do justice to Salisbury even in such a long biography, it is impossible to do more than select a few aspects to give a flavour of the man in a mere review. He had a miserable time at Eton and was taken away early; nevertheless he sent his own sons there. Because of ill-health, which he blamed on Eton, Salisbury left Oxford after two years and was awarded an honorary fourth class degree in mathematics, a special pass degree available only to the sons of noble families. One of the first of many paradoxes about Salisbury is that he won an All Souls Prize Fellowship three years later after spending most of the intervening time travelling to and around South Africa, Australia and New Zealand. Another paradox is that he married a middle-class woman in 1857 against his family's wishes despite his serious-minded commitment to the maintenance of class and class distinction. It was a deeply happy and supportive marriage and he was said never fully to have recovered from his wife's death in November 1899. His family refused to come to his wedding and his father refused to increase his financial support from what was appropriate for a young bachelor to what would have allowed him to live comfortably as a married man. When his older brother died in 1865 his father relented in his treatment of the younger son who had now become the heir. From then and most particularly from 1868 when his father died, his days of financial anxiety were over. For eight years from his marriage to 1865 Salisbury earned most of his income from his pen. Given the strength of his views and his future life as a Minister it is as well that almost all that he wrote was anonymous. Roberts is able to identify what he wrote and the early material on his life as a journalist is one of the most entertaining parts of the book. From time to time Roberts departs from the central political narrative to give us a more personal flavour of Salisbury. He cared little what others thought of him. In his early years particularly he suffered from depression. He was careless about what he wore. He was famous and notorious for public indiscretion which was sometimes but not always intentional. He had none of the Victorian upper-class interest in field sports but neither did he have any aesthetic taste. His distaste for poetry is vividly illustrated by his choice of Alfred Austin as Poet Laureate – there have been few worse. Roberts seizes any excuse to include a passage of Austin's verse as a running joke through the book in the years that he was Laureate. Salisbury was serious about his faith and his chaplain held daily services in the chapel at Hatfield. Although he would not easily have been shocked, he saw no reason to facilitate behaviour of which he would have disapproved so he let it be known quietly that the Prince of Wales was only welcome at Hatfield when accompanied by his wife. 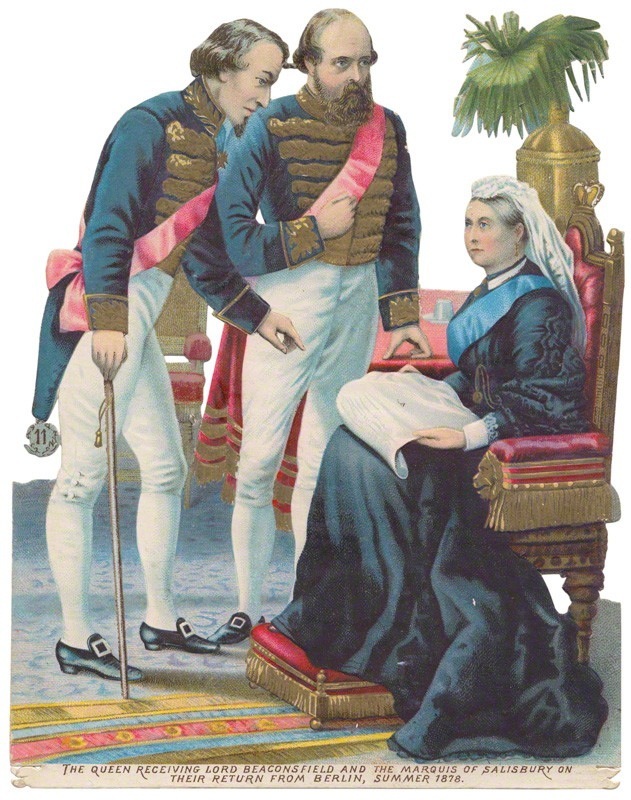 He accepted the Garter quite early but refused other honours including on his retirement a Dukedom from Edward VII, only grudgingly accepting a GCVO (Knight Grand Cross of the Victorian Order) at that time — and not realising until the following day that the star had been encrusted with diamonds as a rare, perhaps unique tribute. Roberts brings out the fact that Salisbury was an exception to the Enoch Powell rule that all political careers end in failure. He went at a time of his own choosing. He passed on his post to his nephew as he wished. Characteristically he was worried privately that the majority he won in 1900 was too large for his party's good but nemesis did not descend until the 1906 election more than three years after he left office and more than two after his death. Salisbury would never have aspired to make his mark chiefly on domestic policy though his deep and long-held interest in improving the quality of working class housing was an important exception to this rule. Foreign and Imperial affairs were his area of interest and he made an enormous contribution there. The Foreign Office was very small in those days and Salisbury conducted most of the significant business of the office without reference to anyone else. He was suspicious of the advice of experts in any field including diplomacy. He preferred secret diplomacy. He pursued the national interest and believed that attempts to do good in international relations generally led to mischief or worse. He was not averse to telling lies in Parliament or elsewhere if he saw it as serving his country's interests. He was much better at avoiding war than at waging it, not from fear but from a lack of interest and understanding of soldiers and sailors and of the business of war. His contribution to the Boer War was not disastrous – it helped to achieve his massive victory at the polls in 1900 – but the war would have been much better managed if he had been as effective at war as he was at diplomacy. "[E]mbossed chromolithographic 'scrap'" showing Disraeli, Salisbury and Queen Victoria, after an unknown artist, late 19th century ©National Portrait Gallery, London (NPG D42972). Earlier in his career he clashed seriously with Disraeli over the franchise. Salisbury was always against extending it. This led to one of the major paradoxes of his life and underlines Roberts' point that Salisbury rarely did well as a prophet. He was sure that giving the vote to people with little stake in maintaining the status quo would be heavily to the advantage of the Liberal Party. He failed to get his way but yet was Prime Minister for most of the time between 1885 and 1902 and the Conservative Party dominated government in the 20th century. He came to work better with Disraeli, for example in the triumph of the Congress of Berlin in 1878, and learned more about the complexity of leading a party from those early clashes. As a result he made a lasting contribution to his party's success at the polls by spotting the strategic potential in creeping suburbia, by supporting professional organisation to win votes and by turning himself into a formidable platform speaker to crowds of thousands despite the poor training offered by the House of Lords. Ireland provided Salisbury with the opportunity to split the Liberal Party. He seized it to good effect and either relied on tacit Liberal Unionist support or, later and for most of his time as Prime Minister, led a coalition of his party and the Liberal Unionists. Roberts is not at his best on Salisbury's engagement with Ireland. He fairly defends him against the charge of responsibility for much of the horror that was 20th century Irish history and implicitly supports his hostility to Home Rule and his advocacy of Balfour's policy of coercion when he was his uncle's Chief Secretary in Dublin. But he lets him off very lightly for never venturing across the Irish Sea to see for himself and scarcely remarks on his failure to support his nephew and others when they wanted to adopt more progressive policies after the success of coercion. There may be a touch of exaggeration in the claim in the acknowledgments that the book was written over eight weeks in the summer of 1998. It would take some of us most of eight weeks to read it. It gives no impression of having been written in haste. One can give no higher praise than to say that it does justice to its subject. Roberts reports that, when Harold Wilson asked Clement Attlee whom he thought the best Prime Minister of his lifetime, Attlee said "Salisbury." To rate him above Lloyd George and Churchill in their war-time roles may say as much about Attlee as Salisbury but coming from that quarter the judgment convincingly reinforces the value of this book. Roberts, Andrew. Salisbury, Victorian Titan. 1st ed. London: Weidenfeld & Nicolson, 1999. Now available in paperback from Faber, 2010. 984pp. (so with different pagination). £28.22. ISBN 978-0571271009.